Today was a proud day. 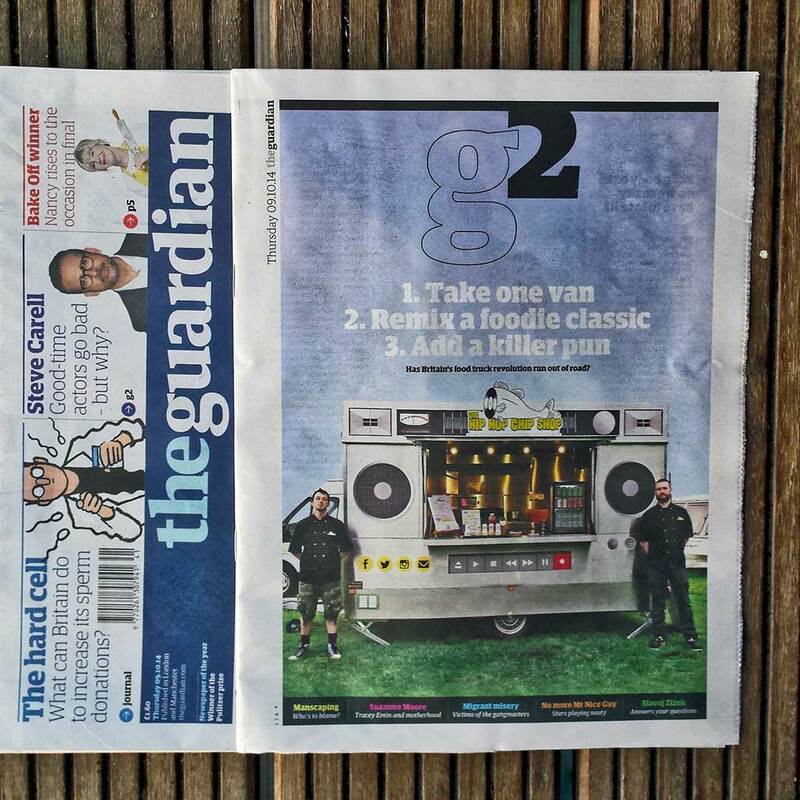 Today was the day a logo I designed appeared on the front cover of the Guardian’s G2 supplement. Needless to say I popped out and bought a copy, and will be framing it and hanging it on the wall of the Instadesign studio. You can read the article here. Of course, I can’t take the limelight here – it’s Jonathan ‘Ozzie’ Oswald’s hard work and perseverance that has got him and his brand into a national newspaper – but there is something quite heartwarming about having been a part of that. I’m really proud to be part of the amazing journey The Hip Hop Chip Shop is on, and can’t wait to see what’s around the next corner for them… they are clearly going plaices.